Figure 1: The receiving array has got a length of 2.6 km. 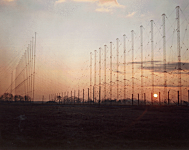 The AN/TPS-71 – Relocatable Over-The-Horizon Radar (ROTHR) is an HF frequency, tactical, land-based, bistatic ionospheric backscatter radar designed to provide a wide area over-the-horizon surveillance of both aircraft and ships in support of tactical forces in locations of national interest. At the operator's option the system can be used for overall surveillance and tracking within the coverage area, spotlighting specific regions to handle targets of interest, or the assessment of the number of aircraft of an attacking force. The relocatable aspects of ROTHR apply to the transmitters, receivers and the operational control centre, all of which are in shelters and designed so that they can be moved by land, sea or air to new locations. The transmit and receive antennas are not intended to be relocatable, and sites would be preprepared with antennas and cables. 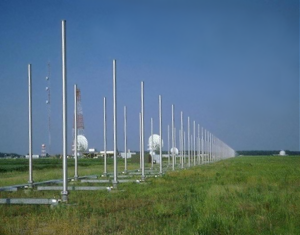 The ROTHR system has to adapt to changing ionospheric conditions continuously. This condition is met by the use of a co-located Quasi-Vertical Incidence (QVI) sounder and a backscatter sounder for propagation management assessment. 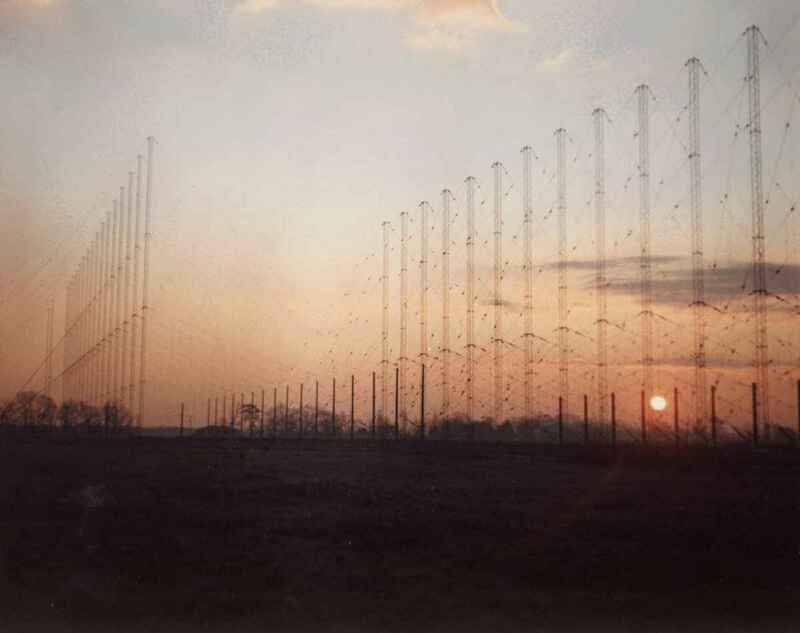 This approach adapts automatically to the ionospheric conditions of the operational environment, whether it be day or night or any season of the year. The system consists of three distinct elements; a transmit site, a receive site and an operations control centre. The transmit and receive sites are separated by about 50 to 100 nautical miles (92 to 185 km). The transmit site provides radar illumination in accordance with commands from the control centre. It also provides the transmissions for the backscatter and QVI soundings used in the propagation management and assessment function. 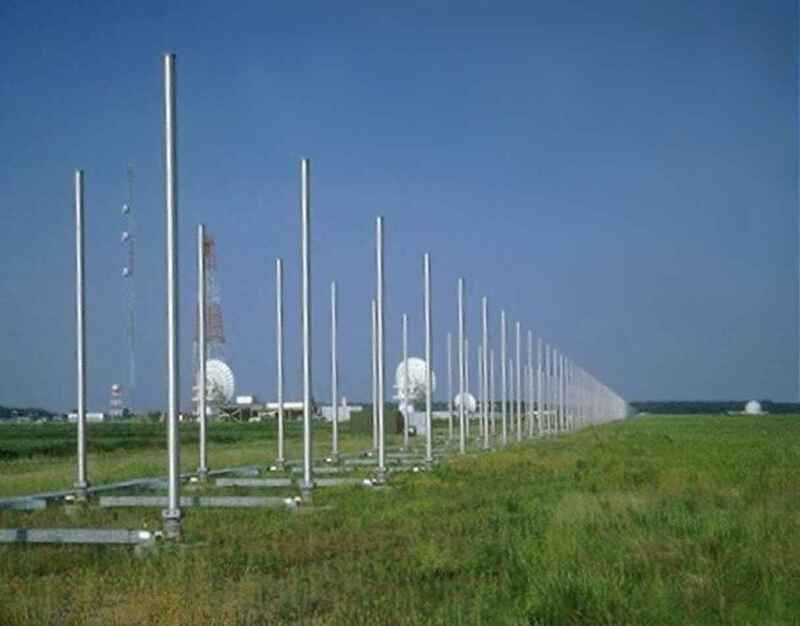 The solid-state transmitting system power is 200 kW in the frequency band 5 to 28 MHz, over a 64º wide illuminated sector, covering a range from 926 to 2,963 km. Range resolution is achieved by transmitting a 25-kHz continuous frequency-modulated waveform. In the receive subsystem, the returned beams are formed digitally in the signal processor which also carries out the range and Doppler processing and extracts the target detections. 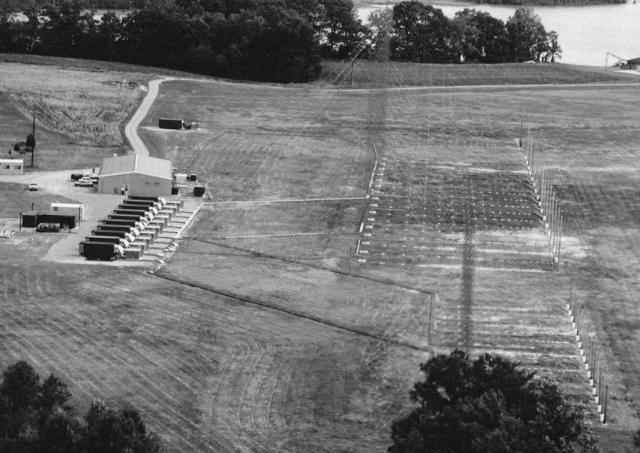 The receiving array has 372 twin-monopole elements covering approx 2 miles (2.58 km) with an accuracy of 1/8 inch (<4 cm) between each element and from end to end. Each monopole pair has a receiver and analog-to-digital converter attached to it. The detections, together with the raw processed data from which they were extracted and signals from the sounder transmissions, are passed to the control centre for further processing. OTHR provides surveillance and tracking in a number of sectors called Dwell Illumination Regions (DIRs), which are selected by the operator. The system can scan up to 12 DIRs at the same time, and employs beam pointing techniques to concentrate its transmitted energy in a particular DIR for up to 49 seconds. ROTHR can be time shared so that both aircraft and ships can be tracked simultaneously. The operations control centre is the nerve centre of the system and carries out the processing of the returned target information. Within the centre the operators interface with the system via displays driven by a data processing subsystem. The system is largely automatic in operation but can be manually overridden if necessary. The operations control centre can be operated either in a co-located or separated (satellite link) configuration. The latter configuration results in significant operation and maintenance cost reduction since it removes operators from remote radar locations.